From late April through the month of May, throughout the midsection of Western Europe, the one thing that any traveler who’s not wearing blinders sees in great abundance is what the German speakers call Spargel. 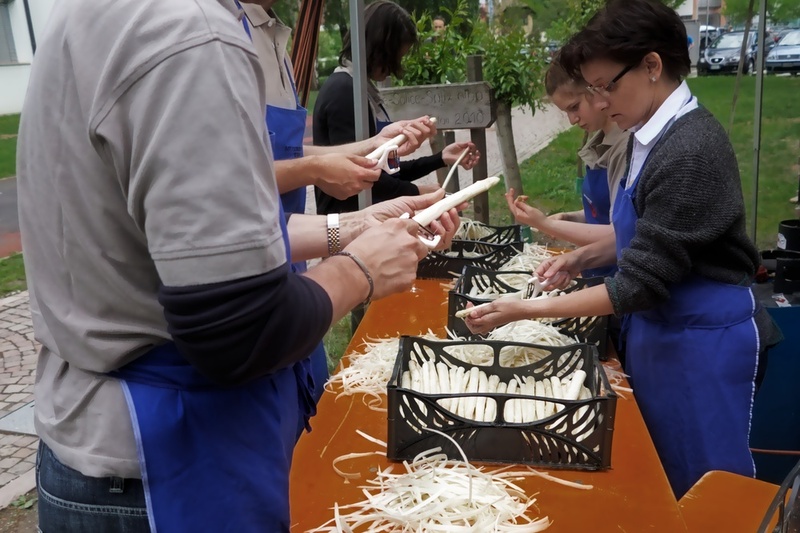 In much of France, Germany, Austria and northern Italy’s Südtirol, every market has an astonishing collection of the famous white asparagus, which is revered in nearly every community as a regional culinary specialty. Restaurant menus will undoubtedly have a page dedicated to imaginative asparagus preparations, café blackboards list numerous daily spargel/asparagi specials and wait staff enthusiastically recommend regional wines that perfectly match the flavor of the celebrated spears. I'm not talking about the green varieties that we know and love back home… the thin, delicate spears that we grill or roast, or the fat, woody ones that we need to peel before blanching and using in our favorite recipe. Their albino cousins are the real deal here in the old world. In the markets, you’ll see them in packs of stubby, pencil-thin stalks and you’ll see giant ones wrapped in what resemble bundles of firewood. It’s simply unimaginable to me that there would be enough people in these small villages to eat as much asparagus as there are on display. White asparagus is produced by covering the developing stalks under mounds of soil so that they are completely hidden from sunlight (a technique that is rarely used in the States) - resulting in mild, tender, delicate and delicious white spears. If you are able to find it in the US, it’s probably skinny, dull and imported from Peru. Americans just do not ‘get’ white asparagus. 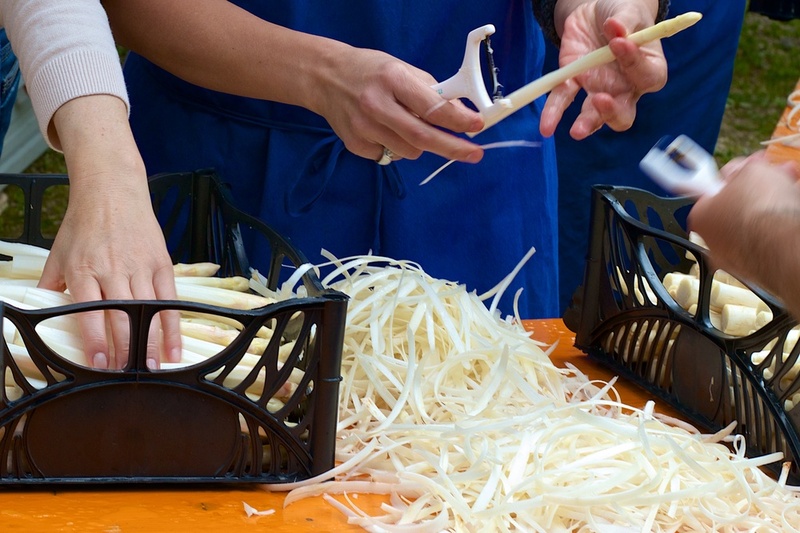 White asparagus is 90 percent water, so they require very special treatment for cooking to avoid a sloppy, watery and rather tasteless result. The trick is to peel off the outer layer, place the stalks in cold water for a few hours and then cook them for about 30 minutes in a covered pot of water that has been brought to a boil and taken off the heat. My introduction to the great white asperges was about 30 years ago in a little village in the Champagne region of France. We had driven the 2 hours from Paris after our overnight flight and arrived at our country auberge just in time for Sunday lunch. This particular inn was noted throughout the region for its restaurant, and I took the recommendation of our waiter and ordered the plat d’asperges – which, by the way, was one of the most expensive entrees on that day’s menu. What arrived was a big platter, piled high with monster white asparagus. That’s it. Nothing shared the plate with these things. There was no sauce. Was this some kind of joke? I offered to trade my plate for Debra’s rack of lamb with pureed potatoes, but she would have none of it. Too self conscious to tell the waiter that I must have misunderstood, or that maybe I had gotten a side dish by mistake, I just started eating my way through it as though I had actually intended to order what was on the plate. It was like nothing I’d ever eaten. 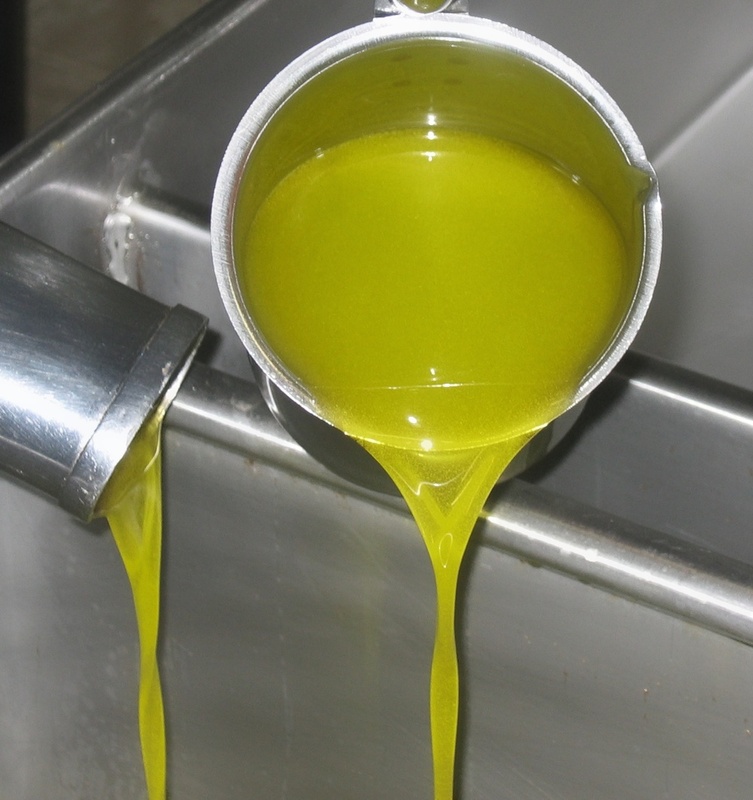 There actually was some kind of invisible sauce – a simple lemony drizzle of something or another. And that’s all it needed. The spears melted in my mouth and blended perfectly with the crisp Sancere that washed it all down. I was hooked. Ever since that Sunday lunch in l’Epine in 1983, whenever we’re in asparugus country in season, we order as much of it as is humanly possible to eat. In Germany, it often comes with a pile of ham and a thick hollandaise-like sauce. In the Südtirol region of Northen Italy, it comes with potatoes, a big plate of speck and a couple of sauces – one laced with tangy horse radish. It really is incredible. 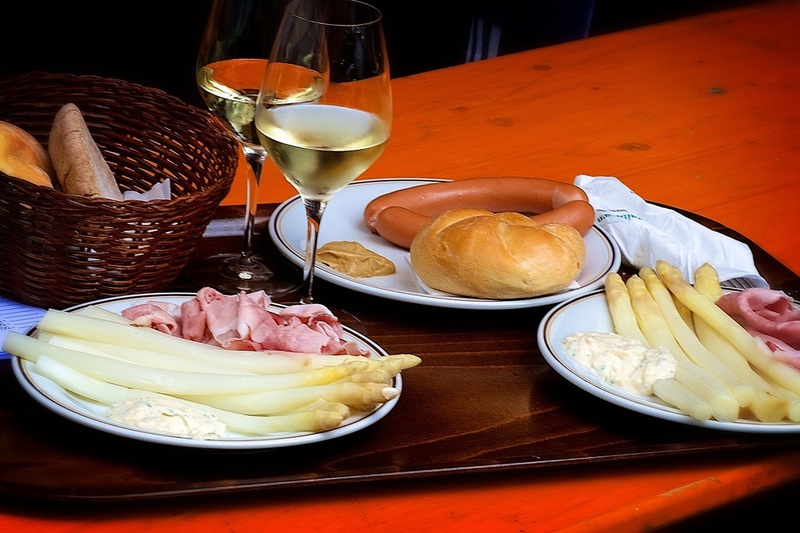 On Saturday night, after arriving in Bolzano by train from Munich, we had just enough time to check into the Hotel Figl and walk to our favorite Bolzano restaurant (Wirtshaus Vögele) for giant plates of speck, spargel/asparagi and several bottles of the regional sauvignon blanc. 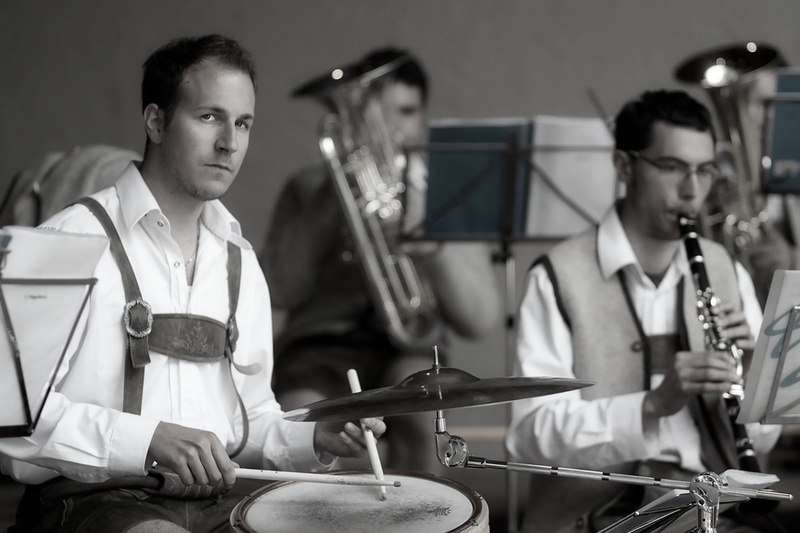 Bolzano, by the way, is the most Italian of all the towns in the autonomous region of Alto Adige - about half of the city's inhabitants speak Italian at home, but everyone is fluent in both Italian and German. And throughout the region, all signs, menus, etc. are bilingual. Because few American tourists visit this area, English is not widely spoken, and English menus are a rarity. And that's OK with me... I've been to Italy enough times that I prefer to see my menus in Italian. When places do provide English menus, the translations are so muddled, they are nearly indecipherable. 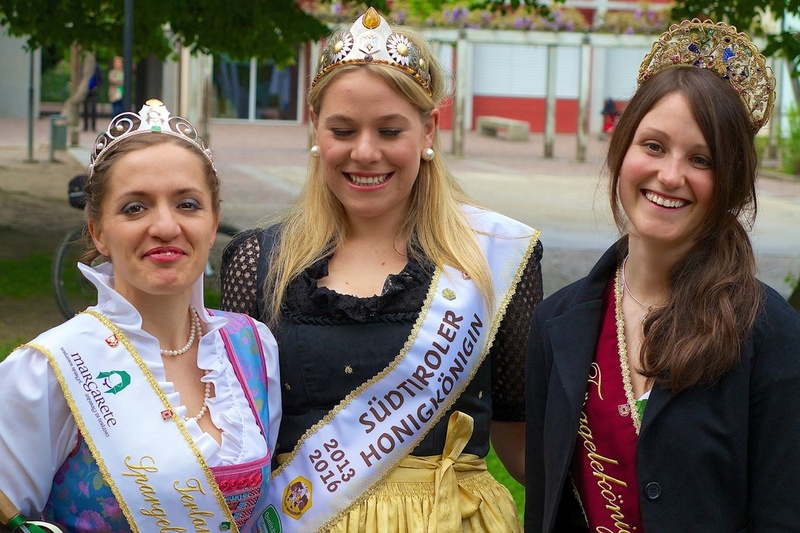 As luck would have it, the little village of Terlano (only a 15-minute train ride from Bolzano) was having its annual Asparagus Festival on Sunday! So off to Terlano we went for a whole afternoon of more spargel/asparagi, more speck and more sauvignon blanc. Thanks for signing up! We'll keep you in our database for news and updates.